Yesterday Oracle released Java 1.6.0_24, which fixes the DOS issue. They also issued a patch last week that you can use if you don't want to upgrade your JVM. If you have the JVM set to auto update on Windows, installing the patch might break the auto update functionality, you should instead install the 1.6.0_24 release. Is this JVM compatible with CF 9 Enterprise? Even better, does Adobe publicize which JVMs are compatible with each version of CF? I'm concern that changing the JVM will break CF. @Jose - Adobe has not released a statement about this issue as it relates to ColdFusion. Adobe does publish which jvm's are supported for ColdFusion 9 in the release notes support matrix: http://www.adobe.com/products/coldfusion/systemreqs/#supportmatrix Right now it lists 1.6_17 for Windows and Linux. So that means that Adobe has certified ColdFusion 9 to run on that version of the JVM, and if you try and call tech support they will expect that you are running that version of the jvm. If you upgrade your JVM to a newer version that is not supported you may not get support. If you do have a support contract you might want to contact Adobe and see what they have to say about it. I personally have not found many problems when upgrading the JVM version to the latest, just be sure to test on a staging server first. It's not terribly difficult to roll back to a prior jvm version if you need to. So I followed your link and... well I'm not sure what to download? I tried JRE but that just caused my CF service to fail on restart. Which one does ColdFusion use? JDK? Java EE? The desktop version? Adobe's bulletin isn't much help either. 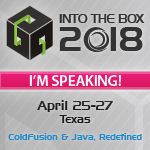 They note there "ColdFusion requires the Java HotSpot Server virtual machine (jre/bin/server/jvm.dll), which is not available with the JRE download."